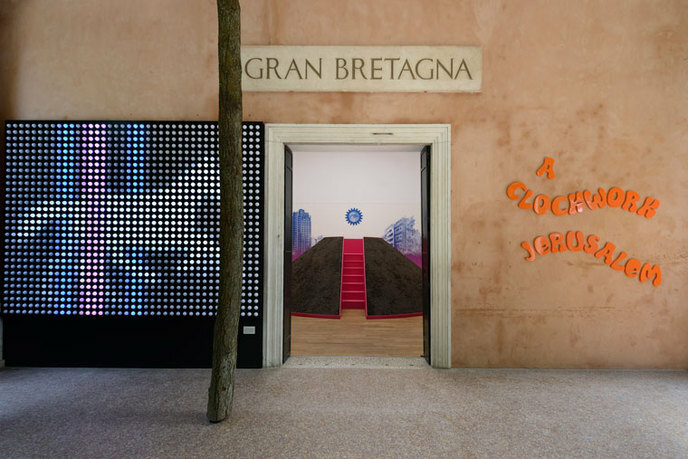 View of A Clockwork Jerusalem: British Pavilion, 14th International Architecture Exhibition, 2014, Venice, Italy. Image copyright: Cristiano Corte for the British Council. 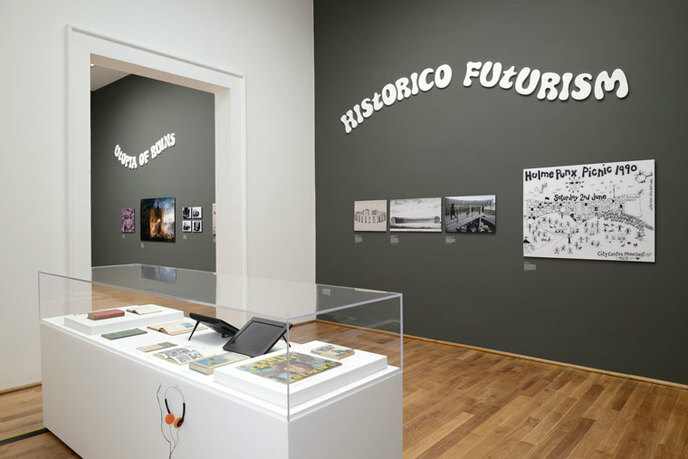 In response to Rem Koolhaas's statement as director of the 2014 Venice Biennale, the project for the British Pavilion contends that modernism in Britain was absorbed by a set of long-standing cultural interests. It was as much as product of the picturesque, the landscape of narrative, and pastoralism as it was of the industrial and technological. Modernism offered the possibility to realize a techno-rural vision of Britain. 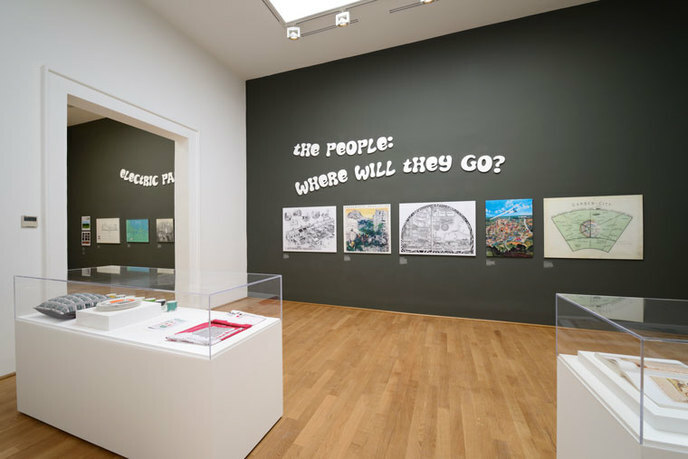 This exhibition focuses on the narratives that shaped British modernism into a unique and sometimes surreal phenomenon, exploring how these narratives developed modernity's depiction in art and culture. 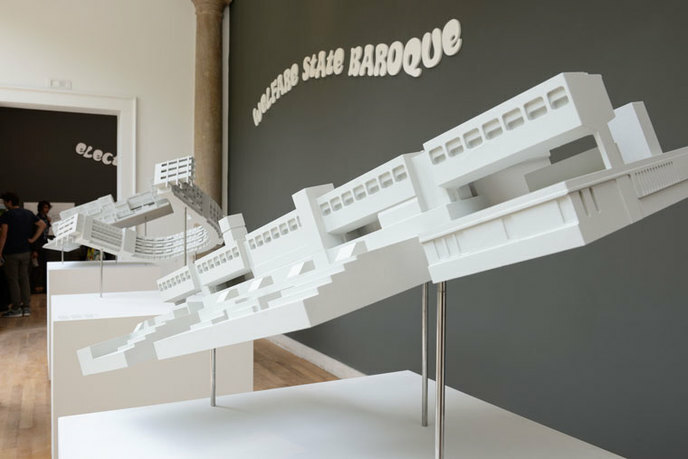 Historical research will delve back into British architectural history to find examples of the dreams and ambitions later reformulated in British modernity and will explore how the projects in question have been represented through their imaginary life in music, film, and literature. Sam Jacob is director of the award-winning, London-based architecture practice FAT, whose clients include Selfridges, BBC, and Living Architecture. 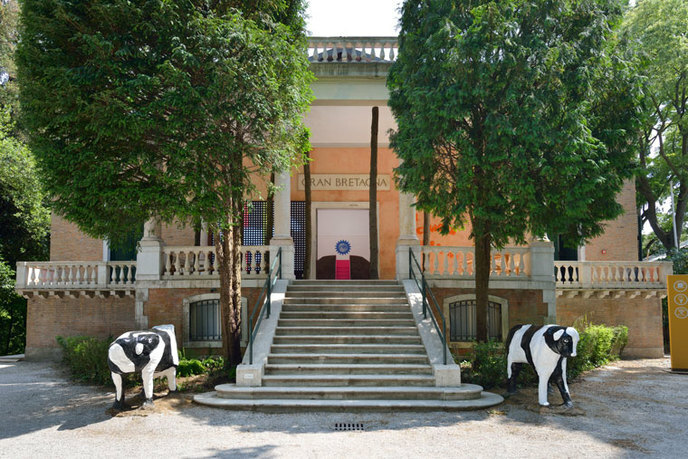 His work has been exhibited at the Venice Biennale, the MAK Center, and the Victoria and Albert Museum. Jacob is design critic for Art Review, contributing editor for Icon, and a columnist for Dezeen; he is also a professor of architecture at University of Illinois at Chicago and director of Night School at the Architectural Association, London. He edits Strangeharvest.com and is principal of Sam Jacob Studio. Michelle Provoost is an architectural historian who specializes in historic preservation, urban planning history and theory, postwar architecture, and contemporary urban development. She cofounded the office of Crimson Architectural Historians in 1994, which has subsequently been engaged in a large number of research and design projects in the fields of urban planning, architecture, and art. Since 2008, Provoost has served as director of the International New Town Institute (INTI) in Almere, the Netherlands, as well as head editor of INTI publications. She has taught as several universities, including TU Delft, the Rotterdam Academy of Architecture, and the University of Amsterdam. Wouter Vanstiphout is a historian of architecture and, since 2009, professor of design and politics at the Delft University of Technology. Previously he was a visiting professor of geography, landscape, and cities at the Akademie der Bildende Künste, Vienna, and professor of architecture and urban planning at Technical University, Berlin. Vanstiphout is one of the founders of the Crimson Architectural Historians research collective based in Rotterdam. 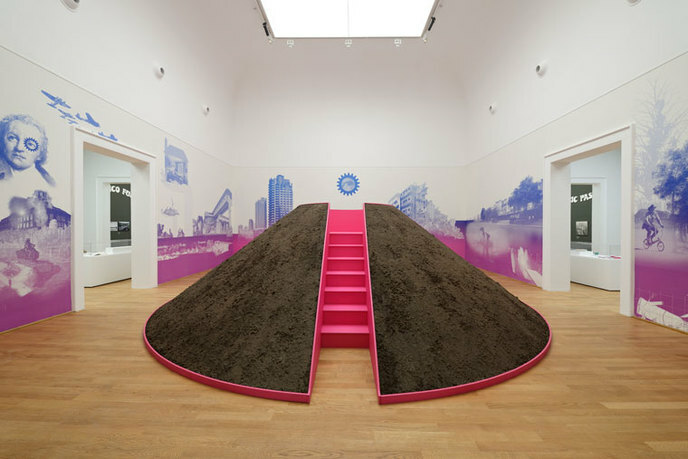 He is also a member of the reflection team of VROM, Ministry of Housing, Spatial Planning, and the Environment at The Hague and serves on the board of SKOR, Foundation Art, and Public Space in Amsterdam. His recent publications include The Collection: Remarkable Train Station Buildings in the Netherlands and WiMBY! : Past, Present, and Future of a New Town.